Sega Enterprises, Inc. (USA), (SEU) announces the addition of veteran coin-op sales executive David "Dave" Drouillard as International Sales Manager. 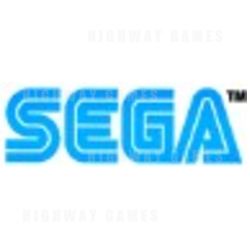 Drouillard's responsibilities will involve the management and development of the South American marketplace for Sega coin-op games. "We're extremely pleased to have Dave on our team," stated SEU Vice President of Sales and Marketing, Barbara Joyiens. "Dave's professionalism and knowledge of the marketplace will be of tremendous benefit to both Sega and our Latin American customers. Dave is an integral part of our overall effort to establish Sega as the leader of coin-op entertainment in this growing market." "I'm very happy to be a member of Team Sega," said Drouillard. "The opportunities and challenges this position offers are extremely exciting. It's very satisfying both professionally and personally to be a part of such a great organization." Drouillard is no rookie to the coin machine industry or to Latin America. A graduate of the University of Notre Dame, Drouillard started his coin-op career 10 years ago as sales manager for Pioneer Jukebox where he worked alongside Sega's current Western Regional Manager, Anthony "Tony" Maniscalco. Most recently, he held the position of Vice President, International Sales at NSM where he successfully established NSM as a key player in the South American jukebox marketplace. In addition to his extensive market knowledge, Drouillard is fluent in both Portuguese and Spanish. Drouillard is married to Tatiana whom he met while traveling through Brazil and has two children Patrick 7, and Kaitlyn 9. Drouillard can be contacted by phone at (312) 337-1260, fax (312) 337-1016, or via e-mail at dave.drouillard@seu.sega.com.